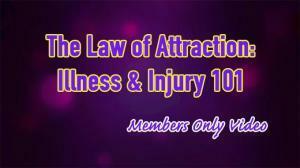 How could the Law of Attraction transform your workplace, association, school, family or friends? My educational seminars and webinars (depending on your location and needs) can help teach the Law of Attraction to the people you care about and depend on! 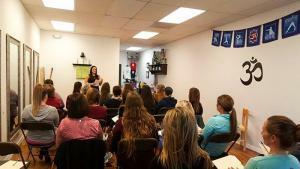 As a professional educator with a background in teaching high school, psychology and the Law of Attraction, my presentations include visual aids, hands-on activities and educational strategies to help all members of your group learn and be engaged during our time together. 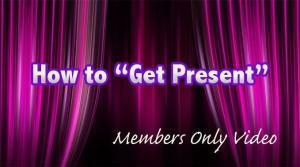 For pricing and to book a webinar or seminar for your group, call me (toll free) at #855.823.1277 or contact me here. 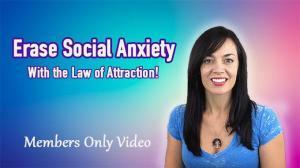 Looking for more information to help calm your mind, focus your intentions and attract the things you want? 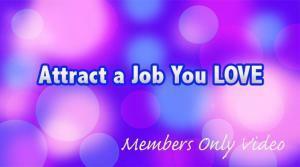 Check out the members-only area of Raise Your Vibration Today for my premium Law of Attraction resources. Spend as much time as you need with my video tutorials, ebooks, audiobooks and guided meditations. 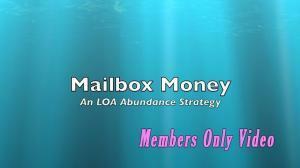 Members also receive one-on-one email support directly from me. New content is added each month. Try it out for 30 days for just $1.99! I work with people around the world and have clients in the United States, Australia, Great Britain, New Zealand and Hong Kong (just to name a few). My appointments are conducted via Skype or telephone (telephone sessions are only available in the United States). For questions and pricing, please contact me here! *Please note: My coaching sessions are not a form of mental health counseling. These appointments are educational in nature and are specific to understanding and using the Law of Attraction. I do not diagnose or treat mental health conditions. For psychological or medical help, please contact a medical or mental health professional.